Marine Le Pen has been demonized all through her career, so she is no stranger to criticism. Meeting Vladimir Putin is a gamble to attract voters outside her core support who want better relations with Russia, says political author Diana Johnstone. 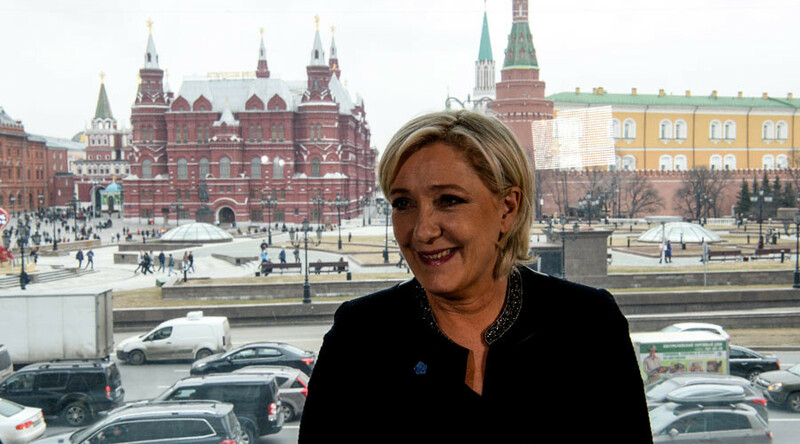 The French National Front leader is in Moscow and has been meeting with President Puting, their first official face to face. During the talks, Vladimir Putin stressed the importance of relations with France and said despite having the right to meet any potential candidate, the country has no intention of meddling in April's presidential election. RT: What do you make of this high-profile, first face to face meeting, of the two politicians? They are saying that already, just as they said it about Trump in the US. But if she succeeds, this would be very important, if she could possibly succeed in this, it would be a big help to Trump to improve relations. Because right now he is blocked by all the opposition in his own country. And if France were to show itself willing to have détente with Russia, that would be very important, if it works. RT: Marine Le Pen has seen much criticism in her country and across Europe for calling for improved relations with Russia. Is this meeting a clear sign she is not afraid of the criticism ahead of the election? DJ: Absolutely, she has been demonized all through her career mostly because of the connections to her father who was politically quite different from Marine Le Pen. She got used to this. Her core followers don’t care about this at all. But the point is she has to reach beyond her core followers. And this is a huge gamble to see if this bold position on foreign policy could possibly attract voters that are outside her core support.